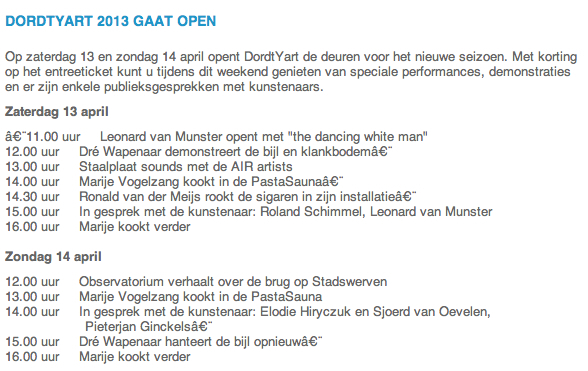 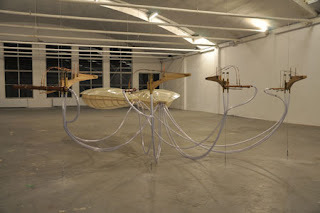 Ronald van der Meijs: Opening Dordtyart exhibition space 2013. 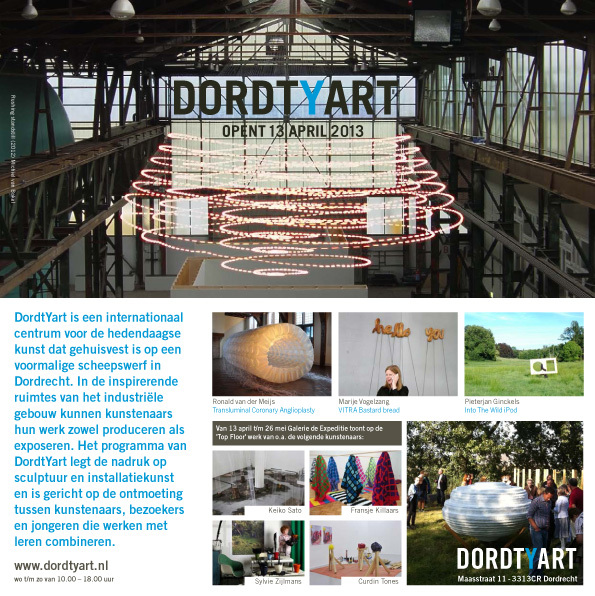 Opening Dordtyart exhibition space 2013.
at the International Arts Centre DordtYart. 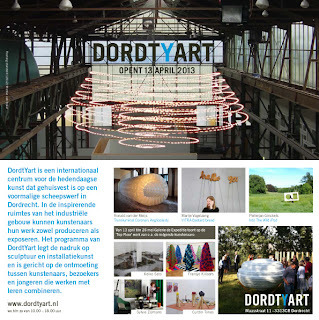 at DordtYart. 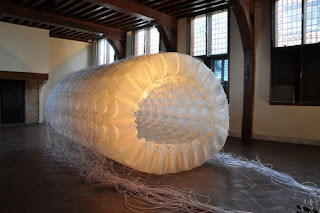 Marije Vogelzang has food as subject of her art and will show a Paste-Sauna tower. 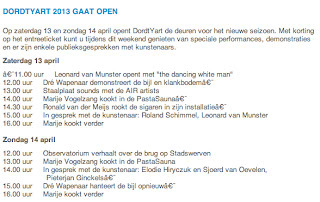 Opening program on saturday 13th and sunday 14th of april.